Two founding partners of Toronto-based VC firm Extreme Venture Partners have advocated for the removal of the current general partners over the alleged forced sale of a portfolio company, BetaKit has learned. In an email to LPs of Extreme Venture Partners Fund I obtained by BetaKit, Sundeep Madra and Amar Varma ask that the current general partners of the fund, Ray Sharma, Ken Teslia, and Imran Bashir, be removed due to a “personal vendetta” that would undermine the fund’s best interests. In the email to LPs, Madra and Varma allege that Sharma, Teslia, and Bashir “have harassed the founders of Uken to sell the company” to fund an ongoing lawsuit between the two groups of partners. Central to the ask is EVP portfolio company Uken Games, which the email alleges is part of an impending exit. A mobile and social game developer, Uken will allegedly sell one of its game assets, Bingo Pop, as part of a move to eliminate Extreme Venture Partners Fund I from its ownership table. The lawsuit in question dates back to 2014, when Sharma, Bashir, and Teslia filed a claim of over $200 million in damages against Madra and Varma, alleging that the pair had conspired with Social Capital CEO Chamath Palihapitiya to hide an interest in Tinder as part of a sale of shares in dev studio Xtreme Labs. A brief summary: Xtreme Labs was founded in 2007, the same year as EVP. Accounts differ as to its origin story; Madra and Varma list themselves as co-founders, with Varma as CEO, while Sharma, Teslia, and Bashir have told the press in the past that they brought Madra and Varma on both as directors in EVP to manage investments in the fund, and also to run Xtreme Labs. What is certain is that Xtreme Labs sold a controlling stake in the company to Palihapitiya in 2012, buying out Sharma, Bashir, and Teslia. At the time, Xtreme owned a portion of Hatch Labs, a joint initiative between the company and Los Angeles-based IAC. Hatch Labs begat Tinder, and when Xtreme sold to Pivotal in October 2013 for $65 million USD, Palihapitiya sold his stake in the dating app to IAC (valued according to court documents at $55 million USD, per the Wall Street Journal). Sharma, Bashir, and Teslia allege that Madra and Varma withheld knowledge of Tinder during the sale; Madra and Varma claim that the app didn’t launch until August 2012, months after the Xtreme Labs negotiations ended. Notably, per The Globe and Mail, Madra and Varma filed a counterclaim of over $10 million in punitive damages, and argued that the plaintiffs should not be allowed to finance the legal proceedings from cash via Extreme Venture Partners Fund I. While not the size of Tinder, Madra and Varma claim in their email to EVP’s LPs that Uken features similar growth potential, comparing it to Epic Games, makers of the generational hit Fortnite, which has led the game studio to surpass a valuation of $15 billion USD. 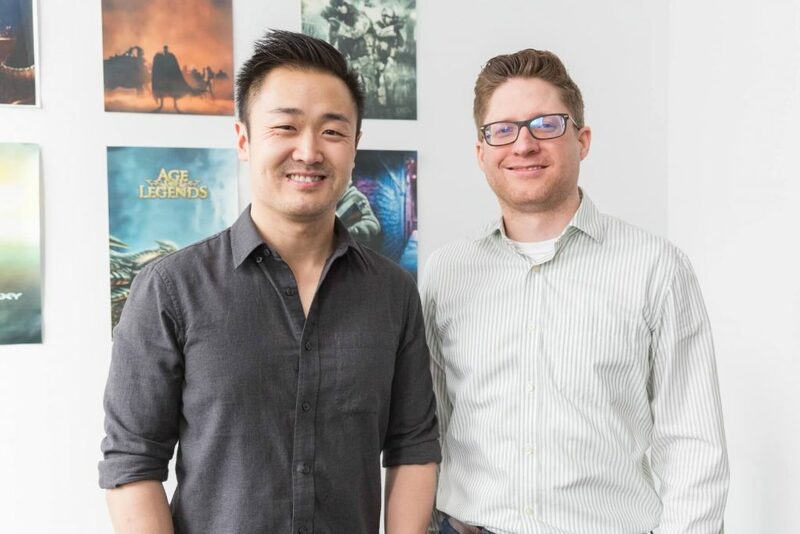 Uken Games co-founders Chris Ye and Mark Lampert. Uken co-founders Chris Ye and Mark Lampert have not responded to multiple requests for comment. Varma and Madra told BetaKit that they have “no comment beyond what was written” in their email to LPs. Per the WSJ, that claim alleges that EVP Annex Fund invested $2.6 million CAD in startups from EVP’s existing portfolio, with Varma and Madra using information gained while at EVP to “cherry pick” the best investments. Disclosure: Extreme Venture Partners Fund I invested in Toronto startup Vouchr in late 2012, at which the author worked at the time. BetaKit covered the story here.